2019 Housing Market Predictions: Is It Time to Make Your Move? Projections from industry experts suggest that Chicago’s difficult housing market could be improving in 2019. Lower interest rates could help increase buying activity. However, buyers and sellers need to be realistic with their expectations and be flexible. Rising interest rates, volatility with the stock market, and political strife has made a negative impact on Chicago’s and the nation’s housing markets. This discord has made buyers and sellers hesitant because they think things are too crazy right now to buy or sell a home. But housing prices are expected to grow slightly throughout the entire United States during 2019. With that rise, the inventory of homes for sale could increase. The key factor to Chicago’s housing market success is the Millennial generation that accounts for 45 percent of mortgage borrowers. When comparing Millennials to Baby Boomers who hold 17 percent and Gen X who hold 37 percent of mortgages, this segment will only continue to grow. It is expected that Millennials will gravitate to Chicago’s Downtown because many jobs have moved there from the suburbs. This is great news for the housing market, but it also brings about affordability challenges as housing inventories shrink as sales are expected to increase by 1.5 percent. 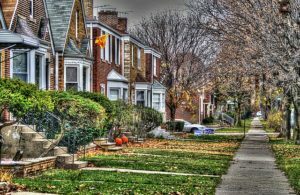 South Side neighborhoods are also expected to see stronger home sales during 2019. The reasons for this could be because of newly created Opportunity Zones and the future opening of the Barack Obama Presidential Liberty. These neighborhoods include Bronzeville, Woodlawn, and South Shore. Some industry experts, like Curt Beardsley, Zillow’s vice president of industry development believes that 2019 will be a better year than 2018 in home sales. Home builders are beginning to drop prices on new homes. In Chicago, the prices of 21.3 percent newly built homes were lowered at the end of 2018. While the average cut was only about 0.2 percent, it is a sign that new homes may become more affordable. But the greatest glimmer of hope for the housing market may be that the Federal Reserve announced recently that it does not plan to raise interest rates for the remainder of 2019. This has already given some housing markets across the country a much-needed boost as the number of mortgage applications filed is already increasing.